Present an unprecedented "whole new world of Tsukemen"
In Japan, there are more than 1038 types of wheats that can make noodles. 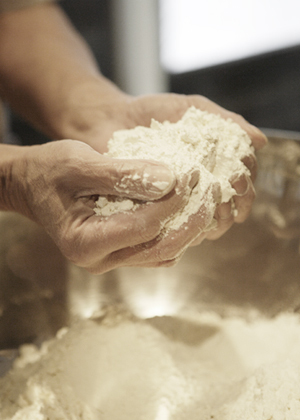 We use only the most premium domestic wheat to make our delicious noodles. This homemade premium grade noodles are smooth and yet chewy with a hint of the wheat's aroma. Our noodles are produced under the strictest quality control in our store allowing us to present the best possible noodles to you. They are left to age and only boil when they are ready. We strongly recommend you try one or two plain noodles first (i.e. without any dippings), in order to distinguish our noodles with the others. Tsukemen can be served with various combinations of noodles at different temperature and a variety of dipping soup. For example, the basic Tsukemen, which is known as hiyamori is one variety where the Ramen is served slightly chilled and compliments with warm soup. We leave the preference to our customers. Through our dedication to create the best in class Tsukemen, we continuously invent new recipe, to cater for the vast customers' combination preferences, using different temperature in boiling and rinsing of the noodles. 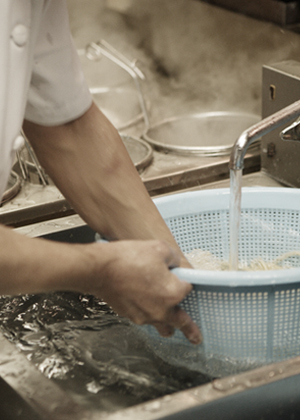 As a result, Mitsuyado has become the pioneer in the arena of Tsukemen to offer noodles in 4 different temperatures. We named it as shimewake (literally means 'rinsing separately'). Though the method of cooking is rather complex, but we have prepared 2 most popular choices, namely Hot and Cold, to cater for the Malaysian's taste buds! "Yuzu flavoured dipping soup" with our "delicious noodles" is the signature dish of Mitsuyado. The rich soup is made by boiling vegetables with pork bones to create a well-balanced taste of sweetness and sourness in the broth. 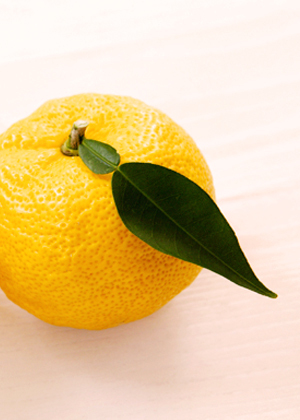 We enhanced its taste by blending in exclusive seafood savor and dried ingredients, and finish it with our "special yuzu oil". We have gone through many experiments to extract the best taste from various types of ingredients, to create our unique dipping soup, originated by Mitsuyado. This soup is unprecedented and cannot be found elsewhere. "Once you have a bite, you'll want to have another…" "You will never get enough of it…". Both men and women will love it. We truly hope that you will give our "yuzu flavored dipping soup" and our "delicious noodles" a try, and subsequently come back for more.